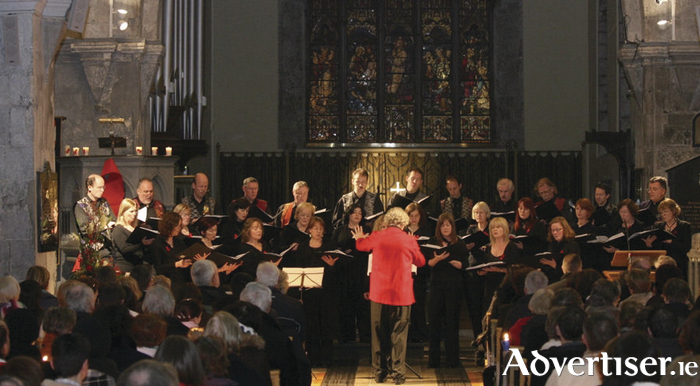 GALWAY'S INTERNATIONALLY acclaimed chamber choir Cois Cladaigh, and the Galway Jazz Festival Ensemble, join forces for a concert in advance of the jazz festival which runs from October 6 to 9. Cois Cladaigh, and the ensemble - Matthew Berrill (saxophone ), Aengus Hackett (guitar ), Sean Carpio (percussion ), and Greg Felton (piano ) - will perform unique arrangements of familiar works, and pieces specifically scored for this collaboration. The concert is in St Nicholas' Collegiate Church on Sunday September 11 at 8pm. Tickets are €10 available at the door or from the Town Hall Theatre (www.tht.ie, 091 - 569777 ).